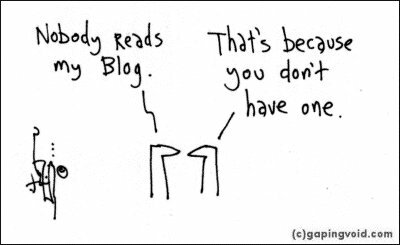 Here are some good blog articles with tips on writing a successful blog. Must read for every blogger. » Do unique things on your blogs. This could include creating tools to help your visitors or even designing your blog to standout from the rest. You can also create unique content, have guest writers write on your blog or interview people in your industry. » If you decide to write a 3 part series and if a new visitor likes part 1, there is a good chance he/she will come back to read part 2 and 3. This is a great way to build that relationship with your visitors. » Some spacing between lines is a must.. If I get annoyed just trying to read your posts, chances are I won’t be coming back and will stay behind the safety of my RSS aggregator. » Visual Elements - A screenshot of what something should look like, an image demonstrating a certain Photoshop technique, or an image of that new gadget add greatly to the value of your post. » Only a very small percentage of your readers will leave comments. If you’re doing this to hear folks respond and praise you, you’re doing it for the wrong reason. Some posts will simply sit there, uncommented. » Posting the same things as everyone else will render you invisible. Why would someone bother to read your content if they can see the same things elsewhere? » Every reader has an opinion… and they’re all correct in their own mind. Don’t be thin-skinned. Realize that folks are going to agree with you, and folks are going to disagree with you. Let them have their own opinion, and encourage conversation.